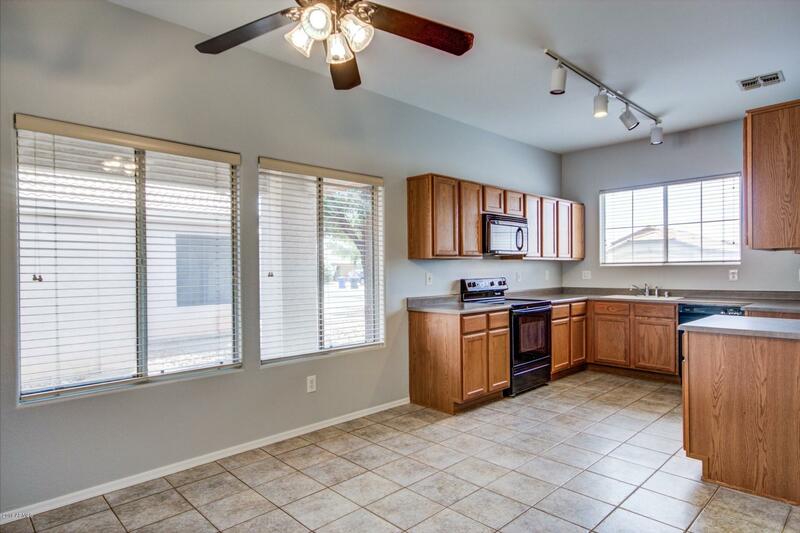 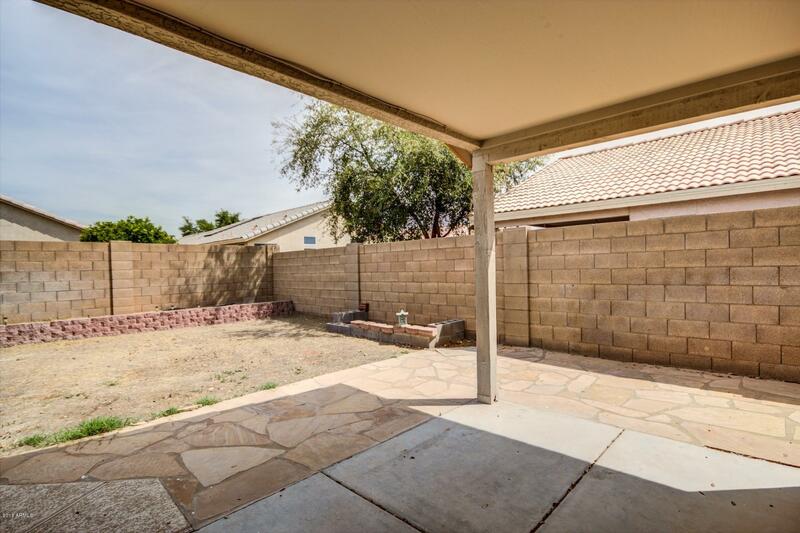 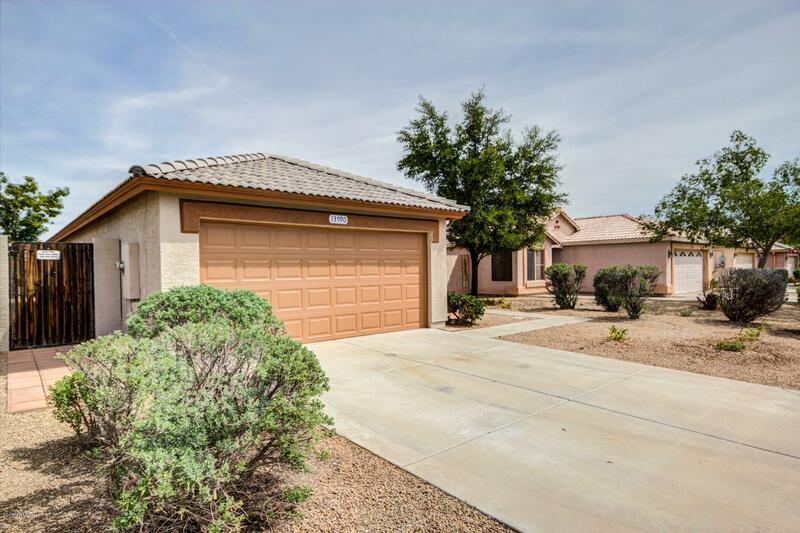 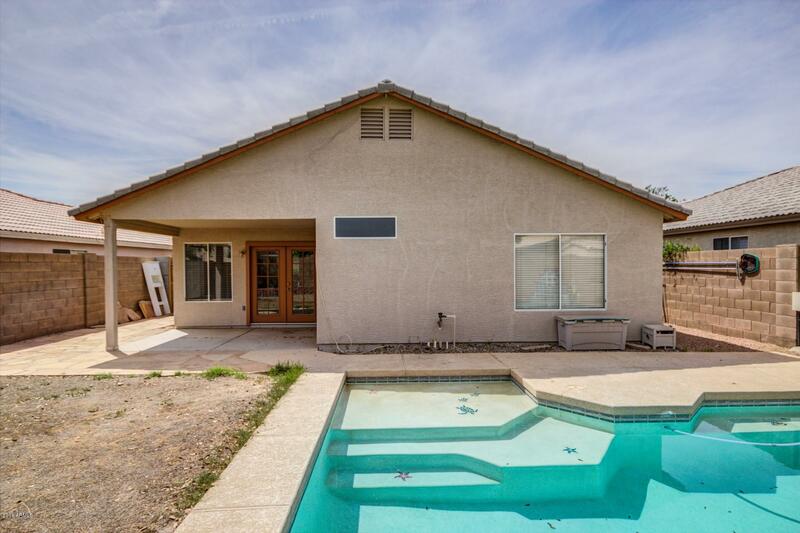 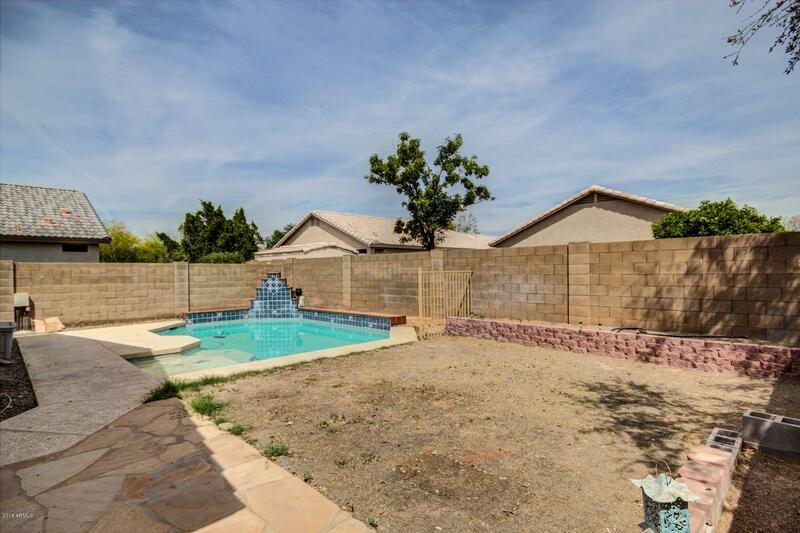 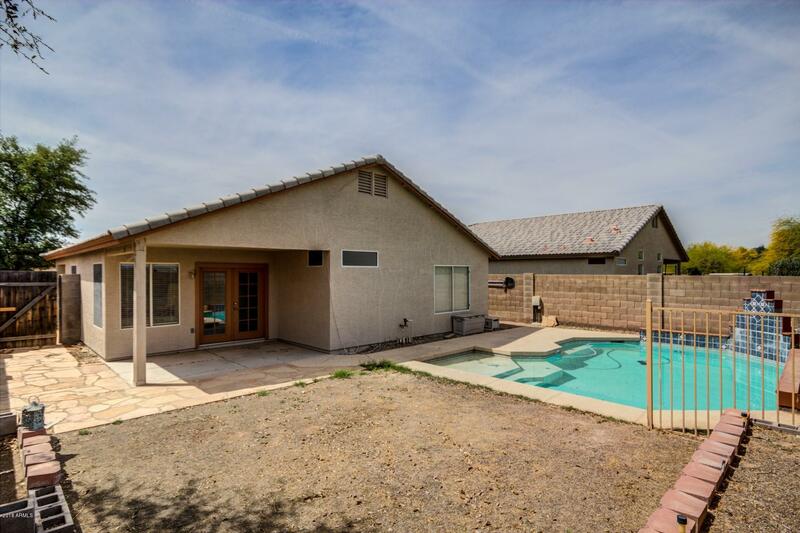 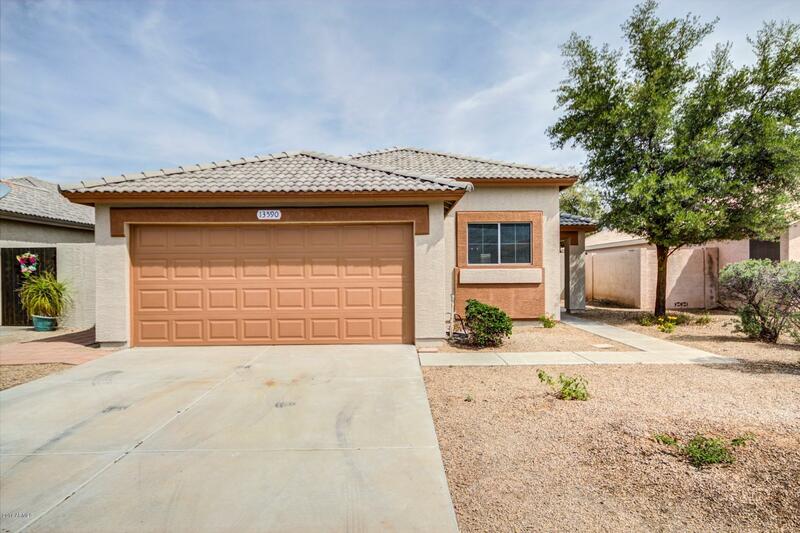 This beautiful single level home with a pool is move-in ready and waiting for you! 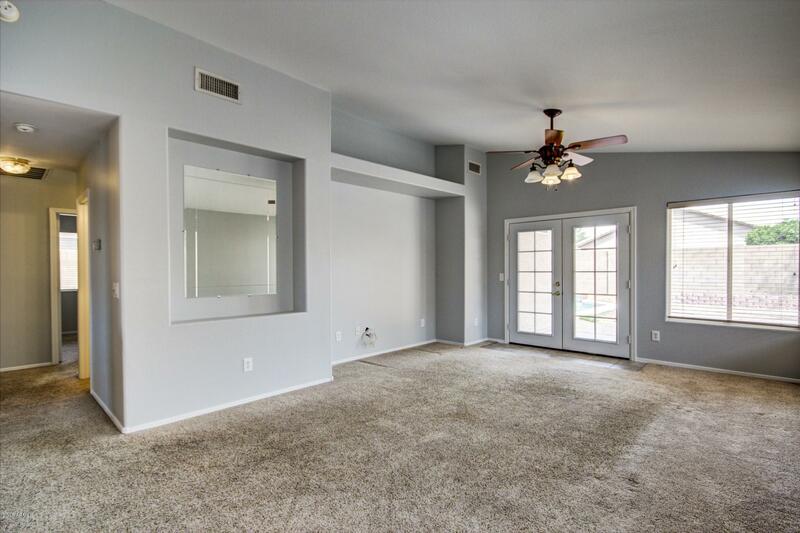 Elegant tile in all the right places,Soaring ceilings and a custom color palette throughout - was just freshly painted completely inside and out early April 2018. 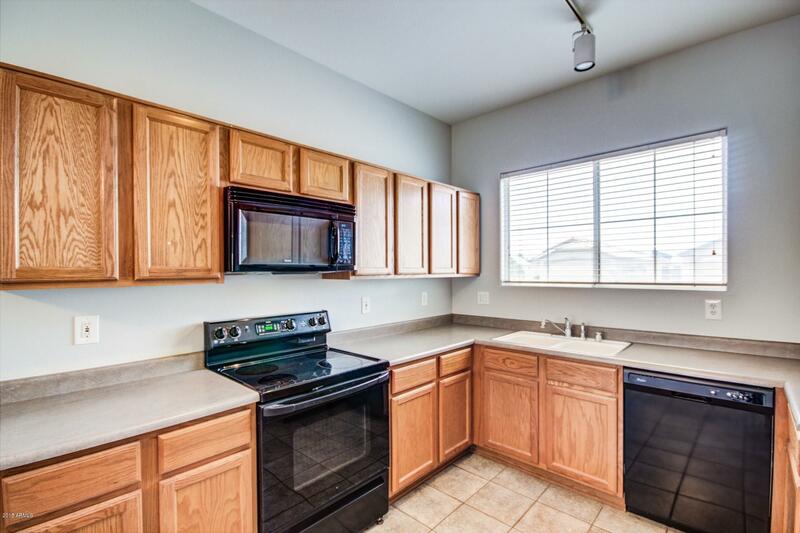 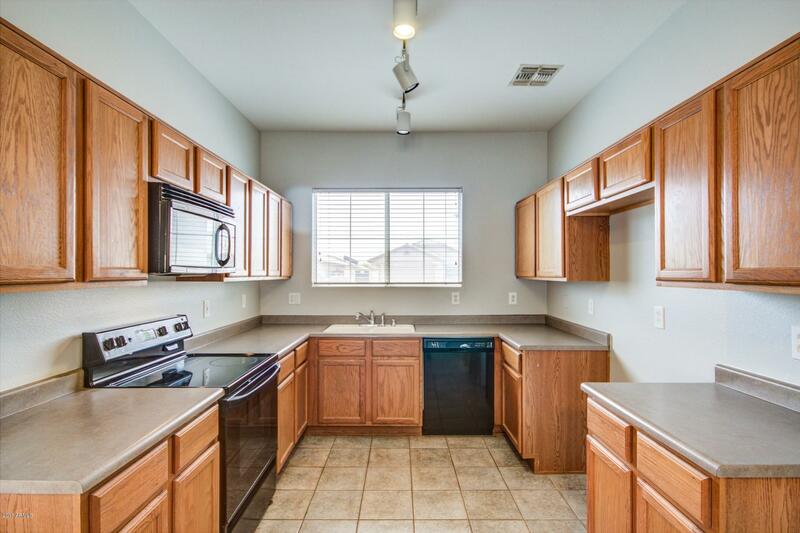 Eat-in kitchen is complete with lots of cabinet and counter space. 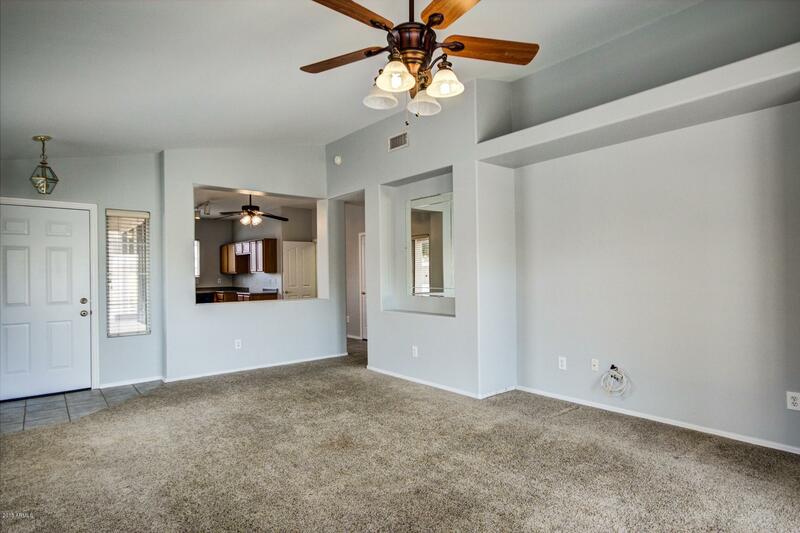 Master suite is spacious with picture window views out to your sparkling pool. 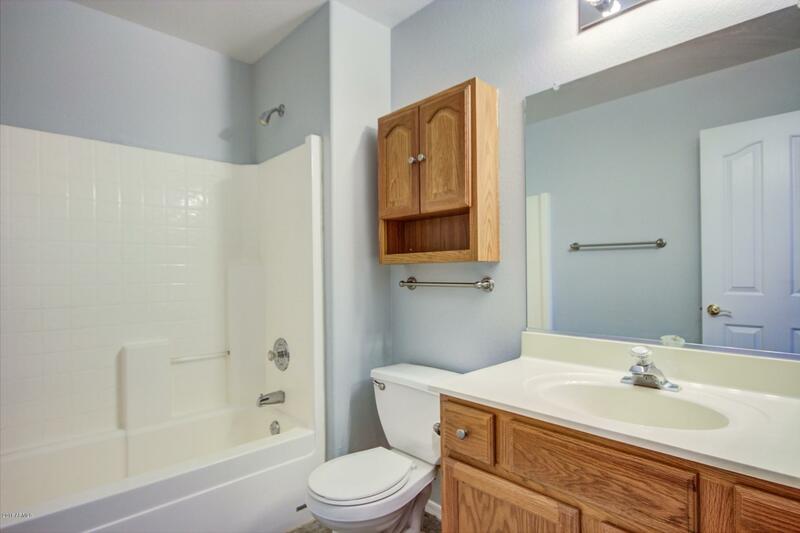 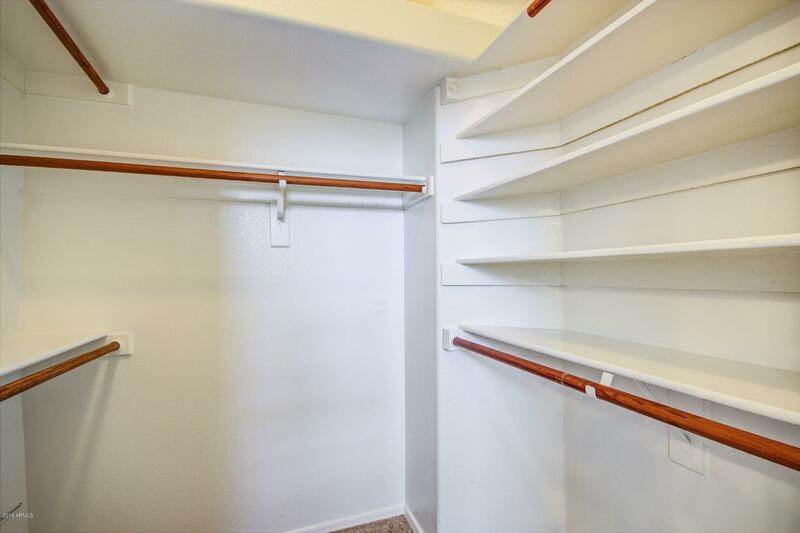 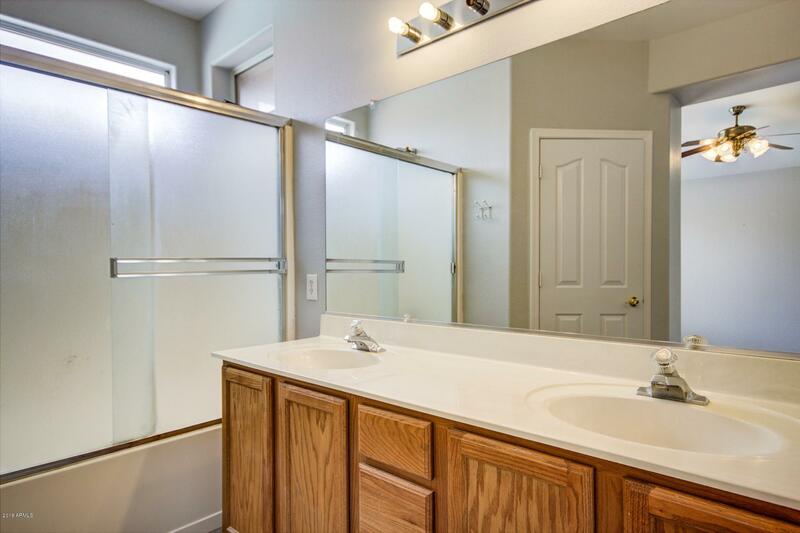 Master bath has dual sink vanity and a big walk-in closet! 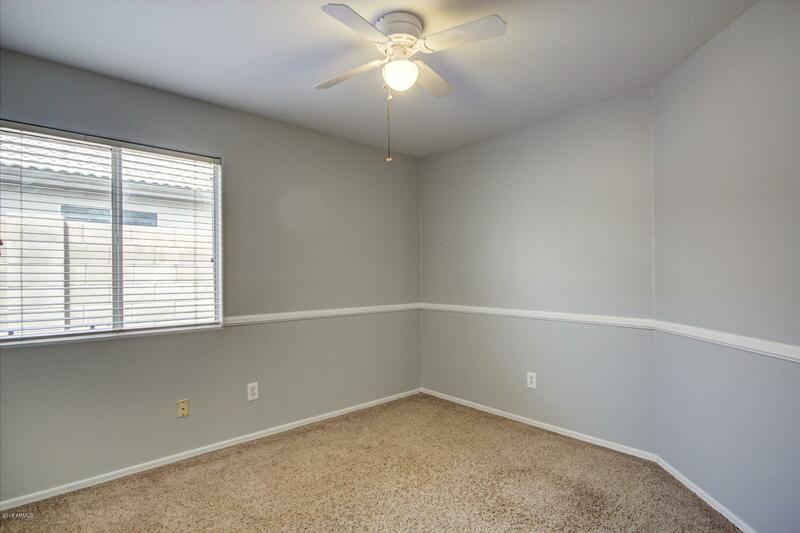 Other bedrooms are a good size and one has elegant wood laminate. 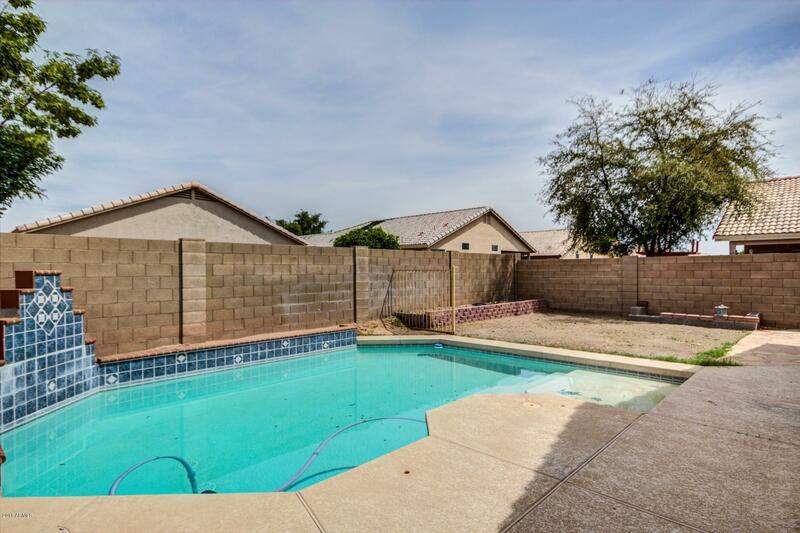 Backyard features a covered patio with a sparkling pool. 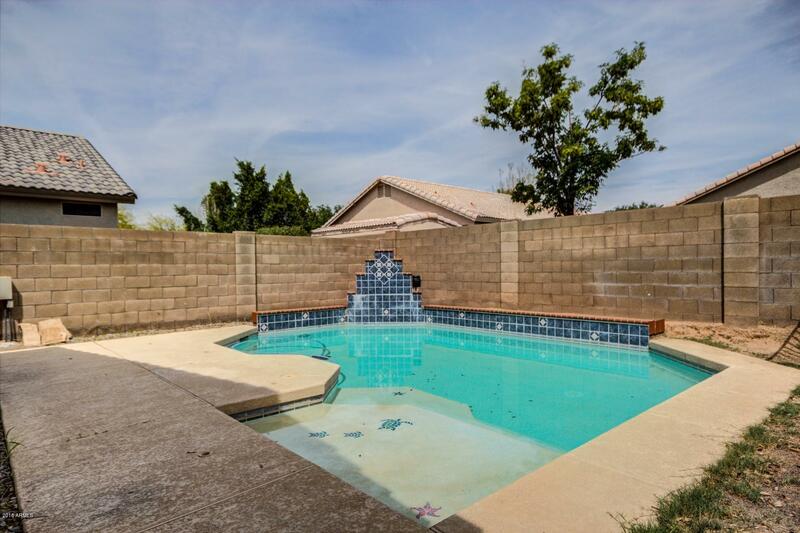 Take a swim after a hot summer day! 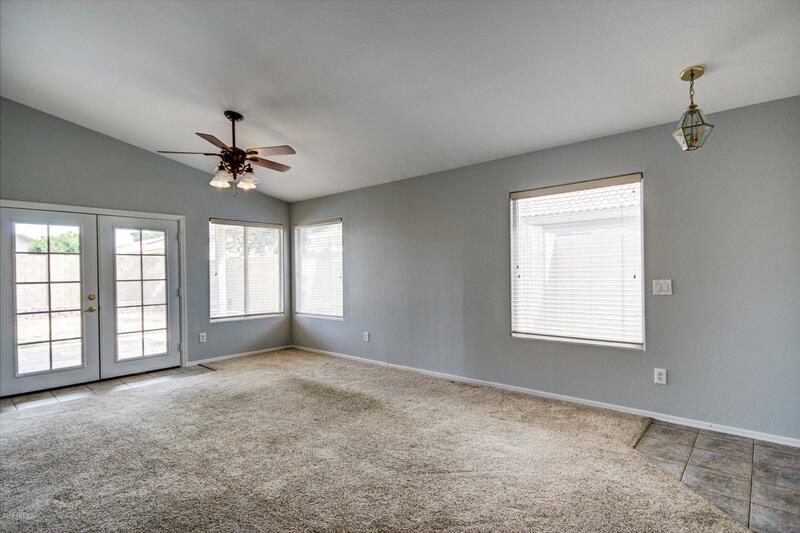 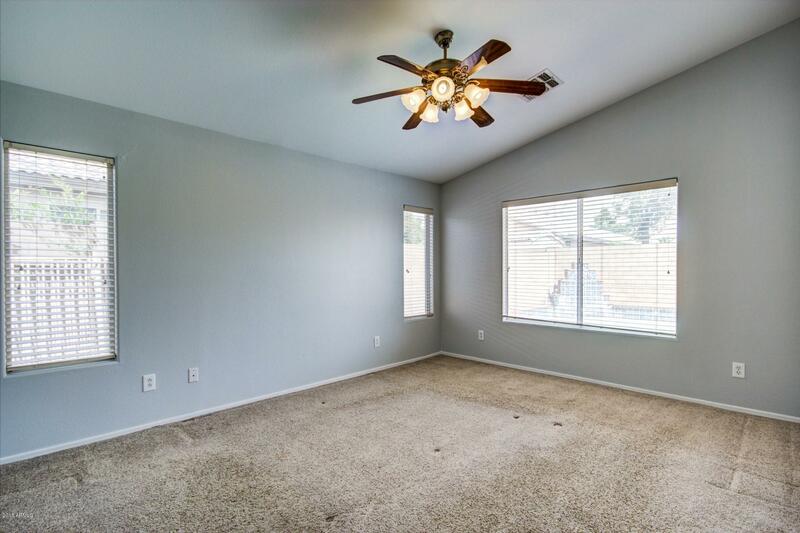 Plenty of room for entertaining. 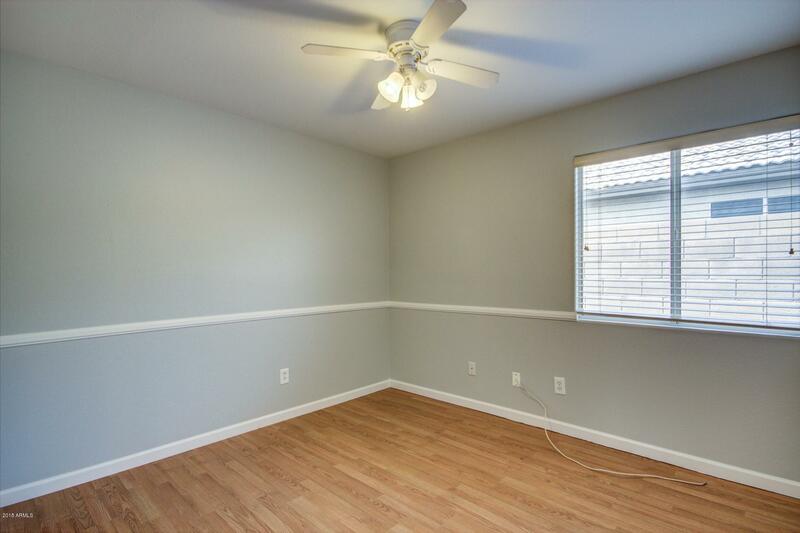 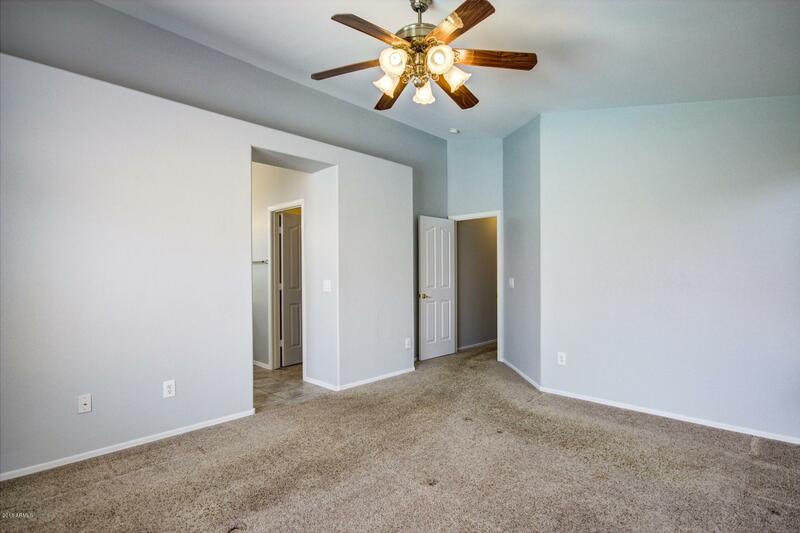 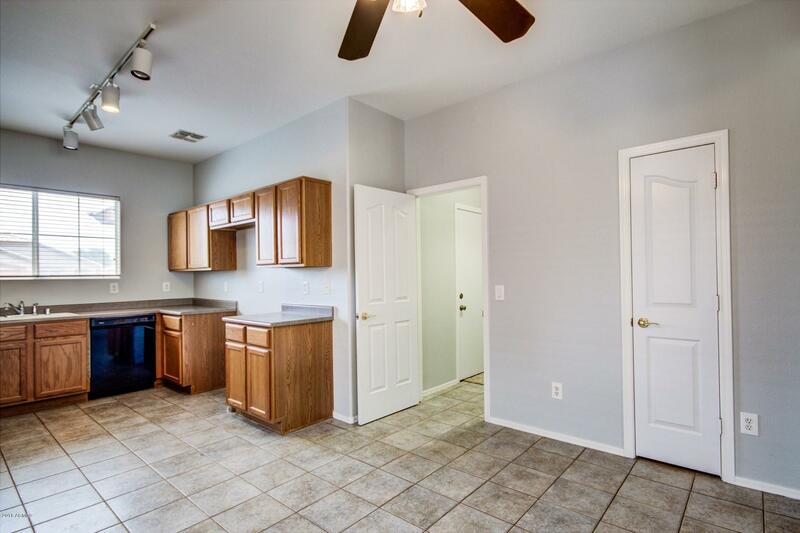 Nicely located near lots of great shopping, dining, and entertainment! 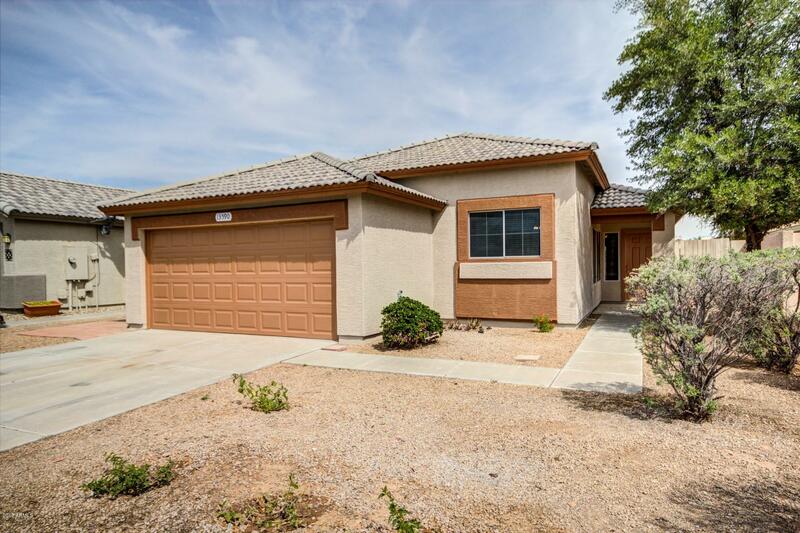 Priced to sell, so come take a look today .... you'll be glad you did.